Only used 3 times. 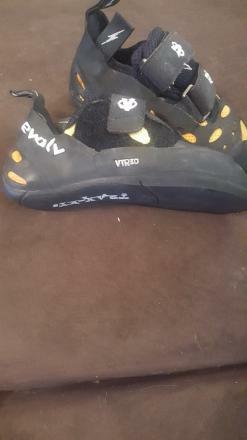 Edge steep areas with ease in the Prime rock shoe from Evolv. 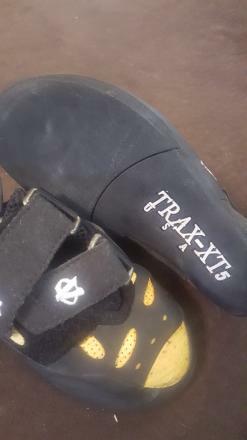 The last was designed by climbing great Chris Sharma, and the toe has a Trax oval grid that, combined with a hi-friction rubber sole, provides you with high performance and extra traction. 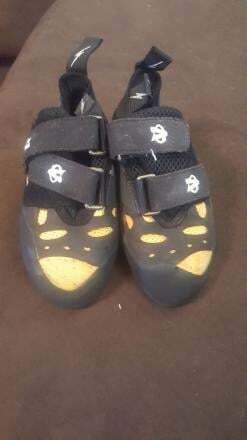 5.10 vxi size 37.5 almost new!